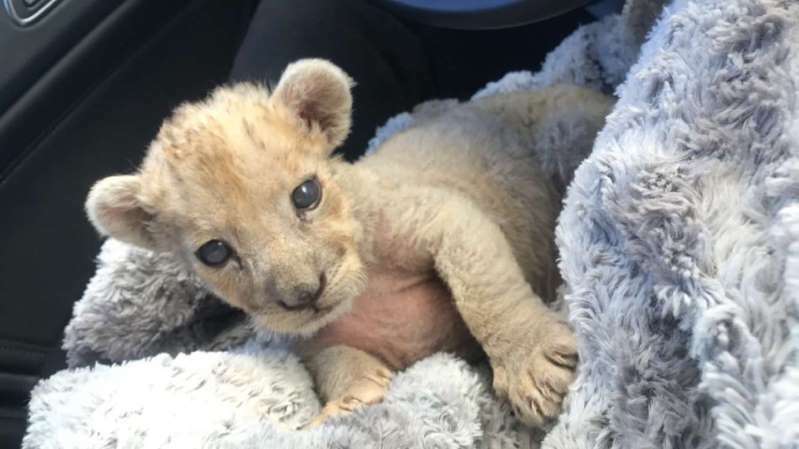 France's customs agency says it's made an extremely surprising discovery in a garage in Marseille: a lion cub. Marseille's customs brigade found a small female lioness inside a cage Wednesday that weighed just "a few kilograms (pounds)." Experts say she's 1 to 2 months old and has not been weened. The agency said a man who was placed in detention said he acquired the cub from some people in "a building" in the southern French city who said they didn't know how to look after a wild cat and gave the animal up. The custom agency says the feline was immediately handed over to France's animal protection group for specialized care. In January 2007, two lion cubs were discovered by Montpellier customs before being given to the Marseille Zoo.